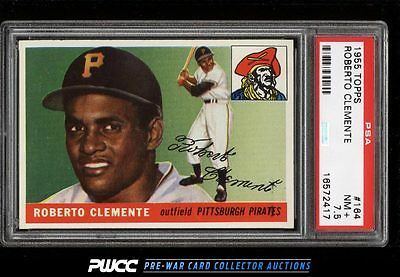 Absolutely incredible Clemente RC which shows better than most of the PSA 8s in the hobby. Astonishing surfaces with four square corners and bright white borders throughout. The centering is obviously a major strength to this card and sets it apparent from the overwhelming majority of Clementes in the hobby, even those with high grade assessments. This card is a steal for the grade and comes with our highest recommendation. One of nearly 20,000 cards, lots, and sets up for bid in our 7th Auction of 2016. Click on the link above to view the other PWCC auction lots.